First of all, I want to say a huge thank you to everyone that took my reader survey. I can’t tell you how much I appreciated all the responses. I wish I could hug each one of you! I can’t wait to take Broma in the direction that you want, and to bring you more deliciousness in 2016. THANK YOU. Now, holy fudge. Can we just take a moment of silence for this baby? Now I can collect my thoughts. Gah, but barely. 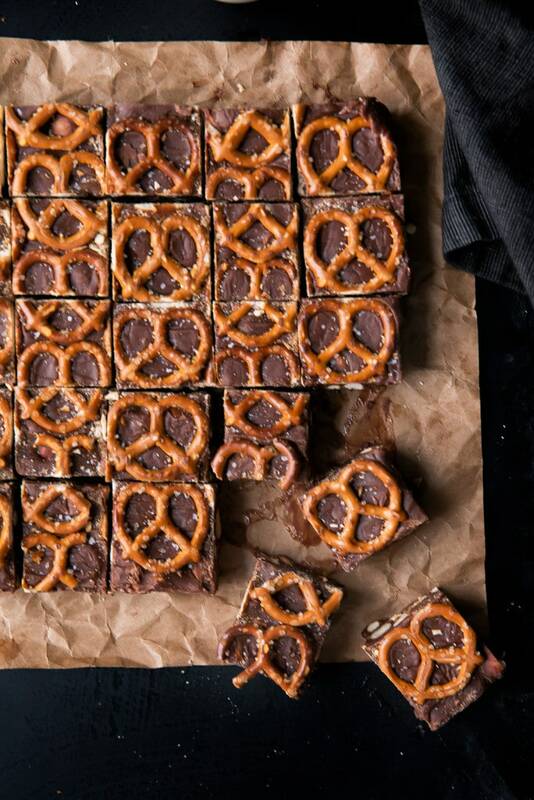 This Salted Pretzel Nutella Fudge is just too good. Now, I know there are some people out there that don’t like Nutella (first of all, you’re crazy). However, I want to be clear that this fudge is beautifully mellow in the Nutella flavor. 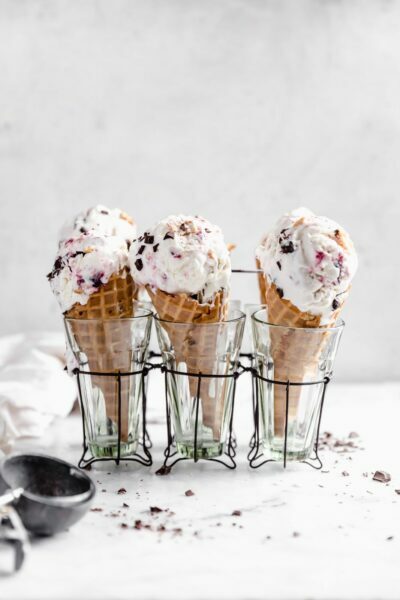 It lends itself more to a creaminess that perfectly blends with the chocolate. And it doesn’t hurt that this entire batch has less than 10 minutes of hands-on time. The only thing that I can say bad about it is that it’s pretty addicting. And that is not good for your waist. Oh well, life is short. Line a 9″x9″ brownie pan with parchment paper on all sides. In a large bowl over a double boiler on low heat, slowly melt the nutella, chocolate chips, and sweetened condensed milk. 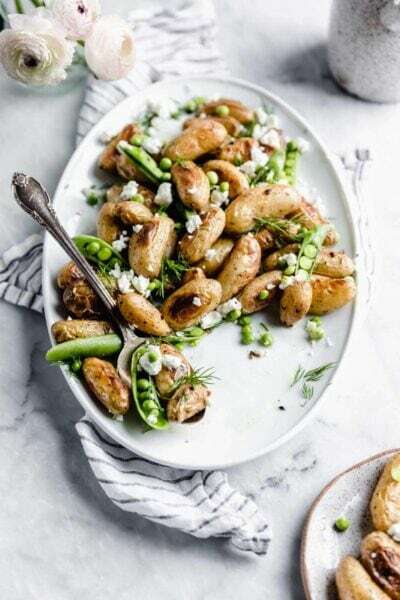 Once melted, mix in hazelnuts and chopped pretzels and pour into prepared pan. Top with whole pretzels and cover with plastic wrap. Allow to cool completely in fridge, about 4 hours. 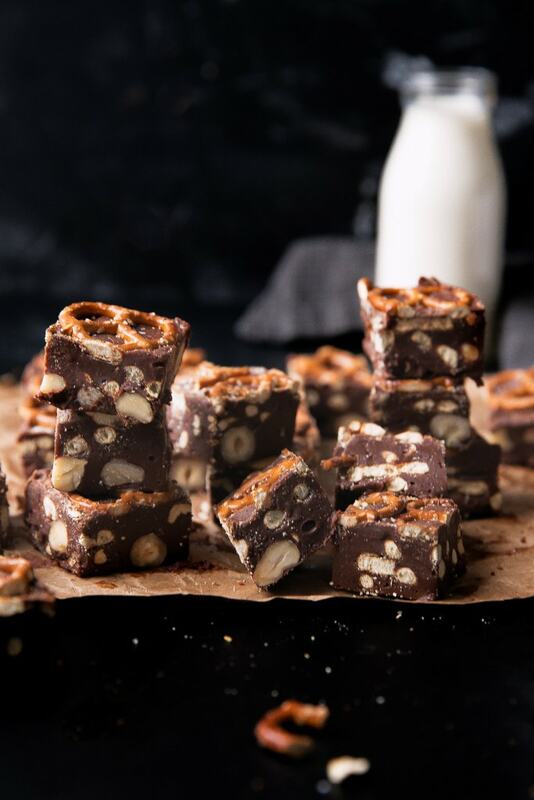 I’ve seen a few fudge recipes that use condensed milk instead of the usual boiling sugar recipe. This certainly looks tasty, is the texture the same and grainy like normal fudge as I quite like that quality about it. This fudge looks pretty perfect to me! I adore Nutella!! And pretzels…and salted chocolate. Mmm. This looks seriously unreal- I love me some salty sweet, especially when it involves Nutella. Pinning! Whoops. Is it OK if instead of a moment of silence, I took a moment of exclamation? 😉 Love this fudge! I don’t know how you read my mind, but I was just thinking earlier today how much I could go for some amazing fudge right now. I love anything with Nutella! This looks amazing! ? Can’t wait to try this next week after my exams! 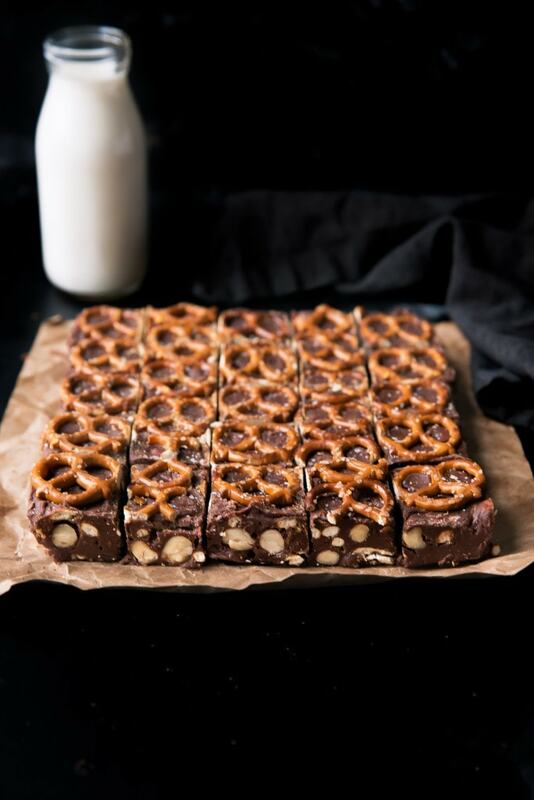 Salted Pretzel Nutella Fudge. Pretty sure that those are the most delicious 4 words I can imagine! This looks delicious! Wow, these look fantastic! I wish I could try one. I guess I will have to make them ? Keep up the great work! Anyone know how many pounds this makes? Because it was so good, we ate it before I could measure it, and I was curious.